Speakers for Book Clubs – Yes or No? Should your book reading group invite outside speakers? Here I’m thinking of visiting authors, publishing experts, librarians, and other book related speakers. Each group should develop a policy. Why? Because everyone and his brother has a writer or would-be author in the family. Someone always knows someone who knows someone. This can work to your advantage as a group, or it could open the tent flap just enough that the primadonna camel gets her head inside. When that happens, it’s not long before the rest of the camel comes in. Then Shelly wants to know why her aunt, who wrote a family history, can’t come in since April’s sister got to speak to the group. After all, an author’s an author. Then feelings get hurt, someone takes an offense, and the group is in turmoil. If you know in advance whether you like camels and want to have them in your tent (which may be great) then your life will be much simpler. And there are camels and there are CAMELS. A good, experienced camel, err . . . speaker or author of a book you’re reading could be a great enhancement to your group. A developmental editor can give your group real insight into the process that a book passes through to even make it into your hands to read. Or these guests could bore you to death. 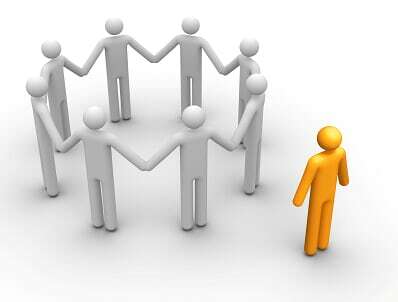 Make sure that if the group allows visitors from the publishing world, that they add value to the group. So . . . decide on a speaker policy. Then, if you will invite speakers, try to get a few references [unless you’re sure that the speaker will add value to your group because of who is recommending him or from his already established reputation]. A speaker policy will save you lots of grief later and keep those valuable friendships intact. QUESTION: Does your reading/book group have a speaker policy? What experiences have you had with guest speakers? Let’s join with Jeff in his challenge to do what we do. Write! Are you with us? 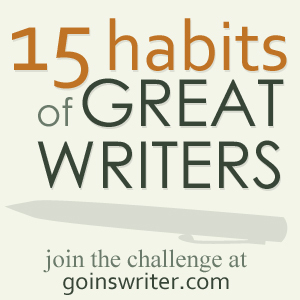 via Mastering the Habits of Great Writers | Goins, Writer. Do you have trouble keeping track of things? Is it hard to find that sticky note you wrote . . . and in what book did you leave it? As an author and speaker for over 30 years, I make extensive use of OneNote. I find it invaluable for both personal and professional uses. And to keep my sanity. OneNote is my virtual filing, retrieval, and storage system as well as my secretary. Recently I upgraded to OneNote 2010. I have to say I really love it. Because of my propensity to forget or misplace things, a program like OneNote is indispensable. I’m so glad I found it. I always like it when I find a post that introduces me to new software to increase my productivity or that gives me keys or tips to make better use of it. So I thought I might inspire some of you who are not yet committed to either EverNote or OneNote. I’m including some of the tips that make it such a good tool for me. I’ve never used EverNote, mainly because I’m no longer an Apple user. All of my PC stuff is Google or Microsoft based. So for me, OneNote 2016 is the better choice. But if you like EverNote, then be sure to visit the many posts available to help you at MichaelHyatt.com. Here’s a great place to begin: “How to Organize Evernote for Maximum Efficiency.” Mike’s EverNote articles helped me with ideas for my use of OneNote too. For example, he inspired me to scan things directly into OneNote (more on this later). I take pictures of my receipts, then send them to OneNote. Sometimes I simply scan them in. I store them in an online file entitled “Unentered Receipts” Then when I attend to my finances, I can simply go to the unentered receipts file and transfer the info to my Quicken and finance sheet. After a receipt is entered, I move that receipt photo to “Entered Receipts.” Everything in one place. I keep video links in a file called “Important Video links” or I file them under specific areas of research or interest. Filing quotes, quips, contacts, and miscellaneous bits of information is just as easy. I use “Readability” (Readability.com) to clear the clutter off a web page Im reading and then I can easily copy and paste the text into OneNote or use the side note feature of OneNote to simply drag the text there. Not only does it receive the text, but it inserts a link to the original article on my newly created OneNote page. Later, I can search my research clippings out and add tags, or check boxes and priority numbers. NO MORE PAPER stickey-notes everywhere. I’ve virtually eliminated paper using OneNote. One of my favorite uses is the tracking of my reading and books. (Keep an eye out for a future post on the specifics of using OneNote 2016 for your reading and retrieval of reading notes & quotes). I will also share how I transfer my reading highlights in Kindle to OneNote so that they’re searchable and available wherever I am, at any time. This is important for those of you who, like me, work from several locations both at home and away. 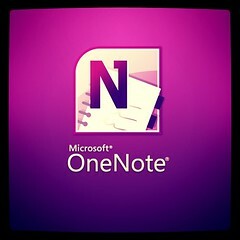 I keep ALL my journals in one place–in OneNote. They are each password protected. I can set the password options so that they remain open throughout my workday or they are secured when I leave the page or following a certain time limit of inactivity. I’m also able to electronically search out an idea I had, but can’t remember where in my written journals that idea might be. My Spiritual Journals – I’ve written over 23 volumes of handwritten journals that cover 35 years of journaling. They consist of notebooks, day journals, ledgers, in all sizes and shapes. The past 5 years of my journals are already in OneNote. But ultimately they will all be transcribed to OneNote. I want them to be usable and accessible. OneNote makes that a reality for me. My Travel Journals – Keeping my travel journals up-to-date is made easy. I simply enter my favorite places or most recent trip with photos and location information and viola . . . I can enter “Tbilisi” in a OneNote search window and find a trip page immediately and be reminded of my trip. Reflecting on the pictures and the itinerary kept there, I can enter some memory I’d forgotten to enter at the time. My Writing Journals – This is where I store my ideas, thoughts, character sketches, and other notes for future writing. This blog comes from the ideas stored there. Future post, book, eBook, and article ideas I keep in that journal. And I can return and find things so much more easily. With my OneNote app for Android, I can easily record an idea quickly in OneNote and its there when I get home to my computer. Simple. If you prefer scribbling notes to yourself, scan them in when you get home and the text is searchable. Joint projects / online (this will be another post). I work with several people on the same project. OneNote keeps track of our contributions and lists author’s initials so that we know who placed what on the page. Best of all for me . . .No More PAPER! Now everything can be in OneNote. It’s a huge electronic filing system that I don’t have to organize. Because my items can be searched electronically, I only need enter a keyword or tag (word, icon, or both). No more lost info or fat files of paper to search through. My advice, if you’re not using OneNote 2016, you owe it to yourself to give it a try. QUESTION: How do you use, OneNote 2016? DISCLAIMER: I am not writing for Microsoft, nor am I earning anything from my opinions about or uses of OneNote in this post. Awhile back, I posted a notice on Twitter and on Facebook to my friends and family. I shared there that I was no longer a customer of Christianbooks.com (CBD or @Christianbook). Now I’m sharing why. I’m hoping to accomplish two things. First, to warn other authors not to bother requesting that CBD carry your newest book (unless of course, you know someone), because you will receive a form reply. Very polite, but bottom line: We’re too big. You’re too small. We’re too busy. Don’t call us, we don’t know you. Here are some suggestions. . . .
Second, to reconsider supporting a distributor that appears to care more about efficiency than what God may be doing (or saying) through new and unrepresented authors. Why not give you money to distributors that give everyone an equal opportunity to sell their books. Both Amazon.com and Barnes and Noble will carry your self-published or assisted published Christian book, but not CBD. Fellow writers/authors, these are the facts: In July, 2009, I had asked Christianbooks.com (@Christianbook) to carry my first published book, available from my publisher in both paper and hardcover. They sent me a polite form email. In essence what they said was that unless you are represented (either by a publisher that does business with them or by an agent or someone they know) they are not interested. You can imagine that after having given them my personal (and our church’s) business for over two decades, I was shocked at the unwillingness to even CONSIDER carrying the book. Not even a phone call. Not even a question as to whether I was a customer or not. Because I thought they viewed their business as a ministry to the body of Christ, I felt they would at least consider carrying the book or check reviews at Amazon.com. So I was shocked that no one showed the slightest interest in at least seeing what possibility the book had for contributing to the building of the body. For Pete’s sake, they’re not publishers, they’re a distributor. They really have nothing to lose and everything to gain. At least Amazon and B&N get that point. Christianbooks.com won’t ask any questions. They will simply give you their stock reply and politely write you off. I hope this is helpful and saves you the disappointment and surprise I felt. Thank you for your interest in having Christian Book Distributors and Christianbook.com carry your product. Please be advised that we do not accept any unsolicited products, books, proposals or manuscripts at this time. We simply cannot accommodate the numerous requests that we receive and we are unable to review any materials sent to us. I’m encouraged by Ken Taylor’s difficulties with placing the Living Bible and getting it to the body. He had to begin his own publishing house (Tyndale Publishers) and Doubleday distributed the book in those early years. I thought that the memory of that success might still be in the minds of those who head some of the “blue chip” Christian publishers and distributors. Am I wrong? I’m sure I am. We’ll have to trust the Lord to be our agent and distributor. What I’ve shared is a faithful account of both what happened to me, and my opinions regarding that experience. QUESTION: Have you found more openness among secular distributors than among Christian? My site, “David’s Place: For Writers, Readers, Thinkers, and Friends,” underwent a face-lift this past weekend. Let me know what you think if you remember the old one. I you don’t . . . that’s OK. Help me improve it. Appreciate your comments below.